Why do some CEOs succeed while others fail? 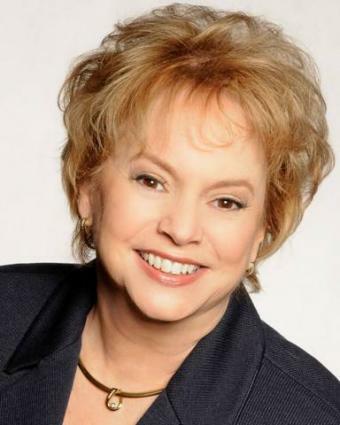 Dr. Linda Henman, Ph.D., an expert in organizational systems and communications, recently spoke with LoveToKnow Business about her latest book, Landing in the Executive Chair: How to Excel in the Hot Seat. Dr. Henman consults with major companies in the retail, financial services, food, medical, hospitality, manufacturing, and technology industries. Some of her major clients include Tyson Foods, Emerson Electric, Kraft Foods, Boeing Aircraft, Estee Lauder, and Merrill Lynch. She was one of eight experts chosen to work directly with John Tyson on his succession plan after his company's acquisition of International Beef Products, one of the most successful mergers of the 21st Century, and her advice is sought-after by those seeking to understand the characteristics of 21st century leaders. LoveToKnow (LTK): What prompted your research and writing about the qualities of a good CEO? Linda Henman (LH): About six years ago the chairman of a search committee for a St. Louis-based $1.5B publicly-traded company approached me about helping them decide on their new CEO. I assessed two candidates--one was not a match; the other they chose. That new CEO more than tripled the stock price his first year in the company and went on to lead international acquisitions and substantial organic growth. The other candidate went to work for another company and was fired six months later. That experience highlighted for me the absolute critical nature of hiring the right person. But it did something else too. The new CEO was 39 when he took the job--young by any measure to run such a large, multi-national company. I coached him for the first six months of his tenure, which was very successful. But I realized how much I wished I had a book I could hand him that, in essence, said, "This is how to be a CEO." There wasn't one, so I wrote it. Companies need to pick the right CEOs, but then the CEOs need to do that which no one has taught them to do previously. LTK: What is the list of qualities you came up with? Even though all four of these are critical predictors of future leadership success, the most crucial forecaster of executive success is brainpower, or the specific cognitive abilities that equip us to make decisions and solve problems. Three main components define what I call leadership intelligence: critical thinking, learning ability, and quantitative abilities. Of these, critical thinking is the most important and the least understood. LTK: Why these qualities and not others? LH: I start with the job description. CEOs must excel at three things: decision making, driving the business, and developing the bench. Nearly everything else can be delegated to someone else. Usually leaders have demonstrated a strong task orientation and at least decent people skills long before anyone considers them for a CEO position, so leadership intelligence separates those who can succeed at the top of an organization from those who cannot. Because I have helped hundreds of companies with succession planning, I have been able to pinpoint those qualities that will make a person successful. No one candidate is perfect, so those that assess candidates, as I do, must be able to zero in on the requisite qualities. For instance, most CEOs don't have a strong detail orientation. It would be nice to have, but a successful CEO can hire an assistant to keep tracks of details. Also, most CEOs aren't patient. Doing the same job day after day would bore them and cause them to falter. So, the same qualities that would make someone an excellent accountant wouldn't be necessary in a successful CEO. LTK: Among the qualities you cite, which would you say is the most important, and why? LH: Without question, critical thinking skills are the most important. At the highest level, CEOs can't delegate decision making to anyone else. They must know how to get to the core of complex issues, look for patterns, evaluate alternatives, and anticipate consequences. Further, they need to see the future as open and malleable. Critical thinking ability equips a CEO to make effective decisions most of the time and to focus his attention and that of others on the critical few driving forces that will develop the business. LTK: Can you cite examples of famous CEOs or CEOs who exhibit these qualities? LH: Steve Jobs stands out as a stellar example of the importance of leadership intelligence. His ability to look into the future and to evaluate ideas that others haven't even considered has helped him place Apple ahead of the pack. Conversely, sometimes the absence of critical thinking skills becomes obvious in a leader's ultimate downfall. Underdeveloped critical thinking skills may help to explain the demise of Carly Fiorina, the ousted CEO of Hewlett-Packard. Fiorina, whom Fortune named the most powerful woman in business in 1998, lost her job at Hewlett-Packard just six years later. The company's controversial deal to buy Compaq in the spring of 2002, after a bruising proxy fight led by one of the Hewlett family heirs, did not produce the shareholder returns or profits she had promised. Fiorina either failed to anticipate the implications of and obstacles to her decision to buy Compaq, or she simply didn't pursue feedback that may have revealed errors in her judgment or resistance to her plan. Had she explored multiple perspectives, particularly those of the Hewlett family, she may have been able to identify probable consequences and to avert the temporary plummet in HP stock, widespread job losses, and her own downfall. Both HP and Fiorina paid for her weak leadership intelligence. LTK: What are the most common mistakes you see among CEOs that lack such qualities? LH: When CEOs try to make everything a priority, nothing is a priority. They fail to force the tradeoffs, as PespiCO just did. The driving force at Pepsi is their "fun food," the soft drinks and snack foods they offer. Recently, however, the company decided to focus advertising money and efforts on their healthy food selection and didn't advertise at the Super Bowl for the first time in 24 years. For the first time, Pepsi is the third-ranked soft drink, behind both Coke and Diet Coke. 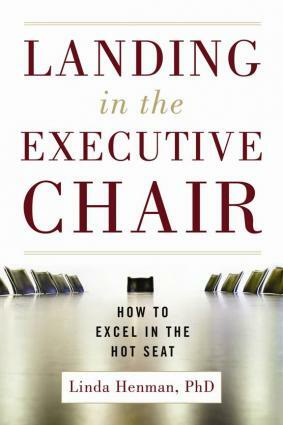 Landing in the Executive Chair by Linda Henman, Ph.D.
LTK: How can CEOs develop or improve these qualities? LH: CEOs who don't have leadership intelligence will never acquire it. It's too late by the time they find themselves in the executive chair. However, in my CEO coaching, I help CEOs use the intelligence they have in more effective ways. I can't make them smarter, but I can show them how they have sabotaged their best efforts by not identifying objectives, prioritizing, and delegating execution of the strategy to members of their executive teams. LTK: What other qualities might be important for a CEO? Are they situational or specific to an industry or organization? LH: All CEOs in all industries need the aforementioned qualities. As I have often repeated, "Leadership is leadership." Therefore, I often encourage decision makers to look outside their industry for other candidates who don't offer the industry experience but who do offer stronger leadership intelligence. When the job demands specific qualities, I often encourage decision makers to look at alternatives. For instance, hospitals need strong leaders making the business decisions, but they also need a senior medical person to weigh in when appropriate. In these cases, a hospital might choose to have a non-medical CEO and a Chief Medical Officer. LTK: How might boards of directors or recruiters improve the odds of finding a terrific CEO based on these qualities? LH: First, although nice to have, industry experience is not guarantee of success. In most instances, a retired four-star general could walk into a civilian company and figure out how to make it successful. Why? These generals have a proven track record of success that expands decades of diverse experience. Similarly, a person who has grown a company substantially once can probably do it again. Track record of success should always trump experience. Second, get an unbiased opinion. Consultants who have a proven track record of success in picking effective executives can keep you from making a very costly mistake if you pick the wrong candidates. Those assessment psychologists who use highly-validated cognitive instruments can help you spot a problem with leadership intelligence long before a candidate would be in a position to make a decision that would cost the company greatly. In today's fast-paced, unprecedented, and unpredictable economy, many executives simply don't know what to do. Conventional methods, which many never entirely understood in the first place, often don't work during economic upheaval. Executives, especially CEOs, need something better. They need a guide that identifies the roadblocks and points out the land mines. Landing in the Executive Chair is just such a guide. LoveToKnow wishes to thank Dr. Henman for her expert insight. Her book, Landing in the Executive Chair, is available in bookstores nationwide or on Amazon.com. It's a good book not only for those in the CEO chair, but for anyone aspiring to the top job in a company.